Create special memories in the kitchen or at the grill with your little budding chef when they wear this Personalized Grill Master Youth Chef Hat. 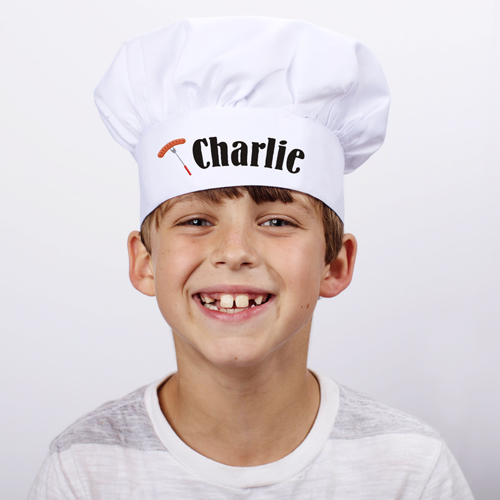 We will custom create this youth chef hat with any name to make a hat that is sure to please that little chef. Give this chef hat as a gift for your holiday baker or all throughout the year. Hat band measures 18"-21 1/2"